Customize to suit your specific selling situation with Nav-to-Net™ Configurator. This can be easily achieved with the features already included. Tailor the solution to suit your exact business challenges, whether you are B2B, B2C, or you need to incorporate customer’s preferences and needs in the process. Nav-to-Net™ Configurator can help enhance the e-Commerce experience for a variety of business models and industries, all while being integrated to NAV and your webshop. Customization in e-Commerce is expected more and more from customers, both B2B and B2C. Configurators are the ideal solution. Here are a few examples and ideas of how Configurator can fit into a particular industry. We hope this gives you some inspiration! Request a demo to see Configurator and Nav-to-Net™ in action! 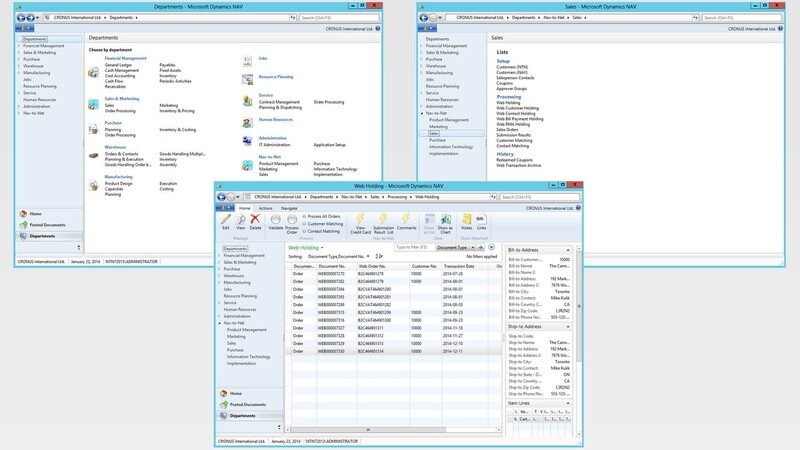 Learn about the latest updates to Nav-to-Net™ 8.0 here. Responsive Design – Be where your customers are. Your NAV website can be a truly mobile and consistent experience no matter the size of the device. Experience the power of presenting your webshop on multiple devices with the ease of managing it all within your familiar NAV interface. Read more here. Look and Feel Branding – We do customizations! Make the e-Commerce experience memorable and “you”nique. Whatever your brand, we can easily accommodate and give you a beautiful NAV website that is entirely “you” in look, feel, style, and experience. Parametric Search – Powerful search capabilities make finding things easy for customers, especially if you have an extensive and detailed product catalog. Search attributes are managed entirely in NAV, minimizing the effort normally exerted in tedious and manual processes. See features video section here. Checkout Portal – Ensure your customers don’t trip at the finish line. The smooth checkout process, along with the one step checkout option, takes care of your customers every step of the way. Quick and painless checkouts can mean more conversions and opportunities for repeat business. Parametric search in Nav-to-Net provides a way for your shoppers to filter out specific products while browsing. The MLTB tool in NAV can be used to stylize and format text on the website. Item Detail Pages – Presentation matters! Nav-to-Net™ lets you display your products in a compelling manner that your customers will appreciate. Your items are maintained in real time based on data from NAV, including product images, detailed text descriptions, specifications, and supporting data files. Managing Images and Files – Content for your NAV webshop is not limited to product and category descriptions; there are multiple ways to promote your products and services to provide value to your customers. Upload and change images and files such as PDF’s and videos with ease within NAV. Nav-to-Net™ automatically copies the images and files to local share, then transfers it to your e-Commerce website. See video here. MLTB Tool – Compelling content helps position your products and services. Something so vital to the success of your e-Commerce website should be easy, flexible, and reliable. 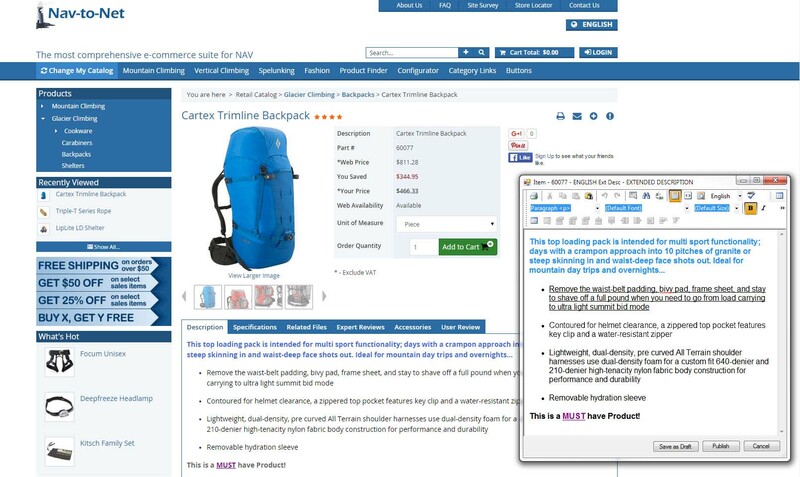 The Multi-Line Text Box (MLTB) Tool in Nav-to-Net™ allows you to manage your content with WYSIWYG (What You See Is What You Get) editing, such as product and category descriptions, all in a user-friendly interface right from within Microsoft Dynamics NAV. Built-In Document Management Tools – Intuitive and powerful, these tools make website and business management a breeze. Instead of being overwhelmed over the amount of content, let our Multi-Line Text Box (MLTB) tool do the heavy lifting. Present all the information in the way you want with virtually no coding. Unlimited Categories – There’s a place for everything and everything is in its place. Get your NAV website organized with a virtually unlimited categories and sub-categories to manage your extensive product catalog and frame your customers’ perspective. Real-time synchronization – Seamless integration of Nav-to-Net™ allows you to see changes in NAV appear on your NAV webshop as it happens. Managing every component of your website will be a smooth and efficient experience, saving you time and effort while eliminating redundancy and lag. Upsell and Cross Sell Capabilities – Make personalized recommendations to your customers straight from NAV, improving your sales and bottom line. They feel special and you get the sale – we love win-win situations! In the age of the customer, it’s important to sell to each individual. When they feel valued, you add value to your business. Category Management in Nav-to-Net™ is powerful and intuitive, helping you direct your shoppers to the products they're looking for. Google Universal Analytics Integration – How can you see what to improve on your NAV e-Commerce website? Nav-to-Net™ uses these integrated universal analytics to help you monitor your webshop activity easily and gain valuable and actionable insight. Nav-to-Net™ helps you obtain the necessary data to build a winning e-Commerce strategy. Built-in SEO Capabilities – Improve your company’s visibility and brand awareness. Nav-to-Net™ comes equipped with enhanced built-in SEO capabilities. With URL rewriting for search engine optimization, meta tag description, title, and keyword management in NAV, you can attract more customers and boost your search ranking. Multiple Website Support – Set up multiple websites with Nav-to-Net™ and configure them for either B2B, B2C, or a hybrid of the two. Focus on your targeted customer bases with custom catalogs and dedicated marketing messaging without leaving your NAV environment. See our video section here. Multi-language & Multi-currency – Expand your reach to new international markets with the Nav-to-Net™ e-Commerce suite. 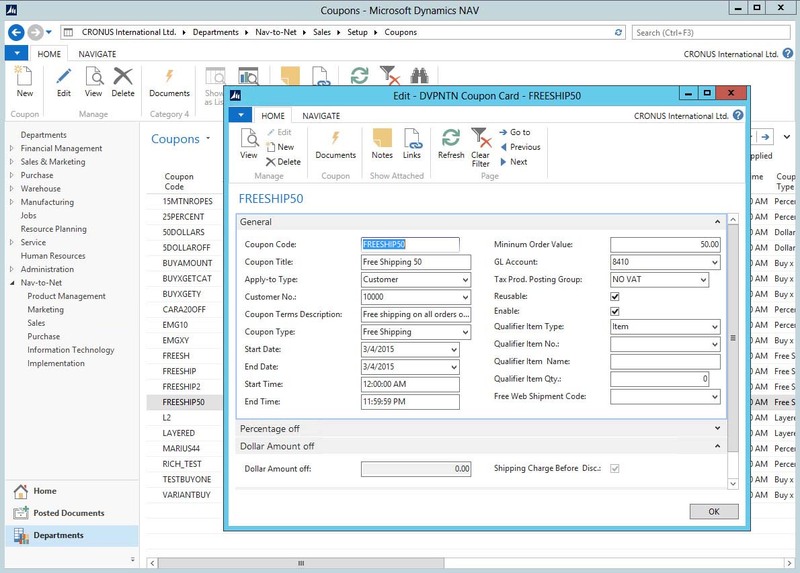 Multiple languages and currencies are supported and managed from within Microsoft Dynamics NAV. Advanced Coupon Management – Promotions and campaigns are an important part of e-Commerce success. Efficiently set up and manage coupon settings in NAV; ensure correct calculations, smooth application, and hassle-free tracking. 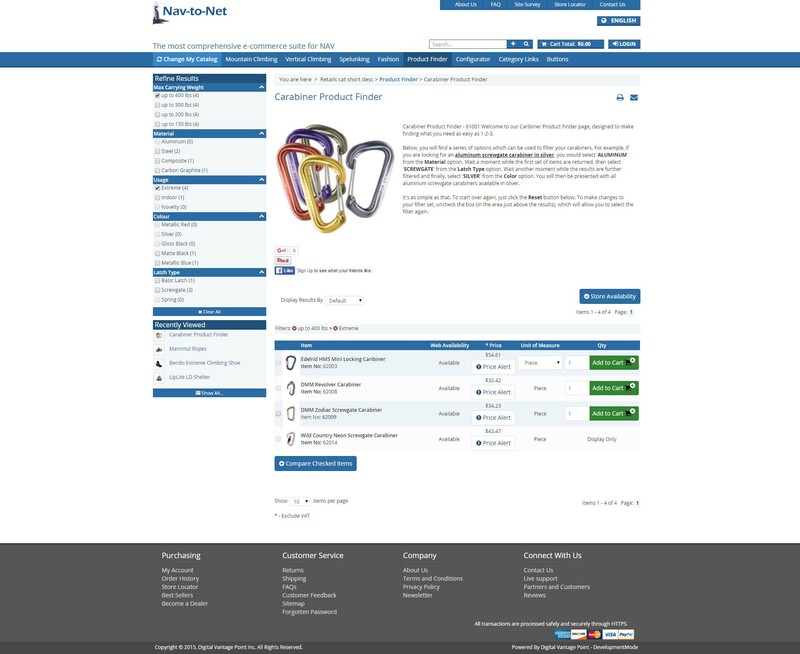 Custom Product Lists – Show your B2B customers a filtered list of products that have specially associated prices. 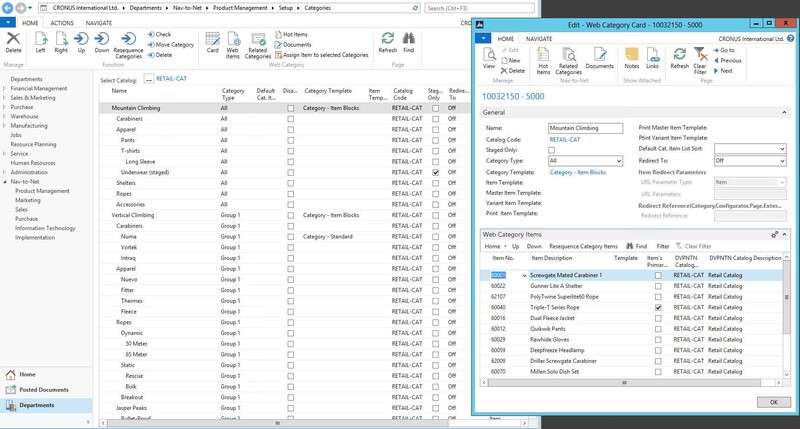 Displaying a custom collection gives you more flexibility in connecting with your customers and sorting your product catalog. 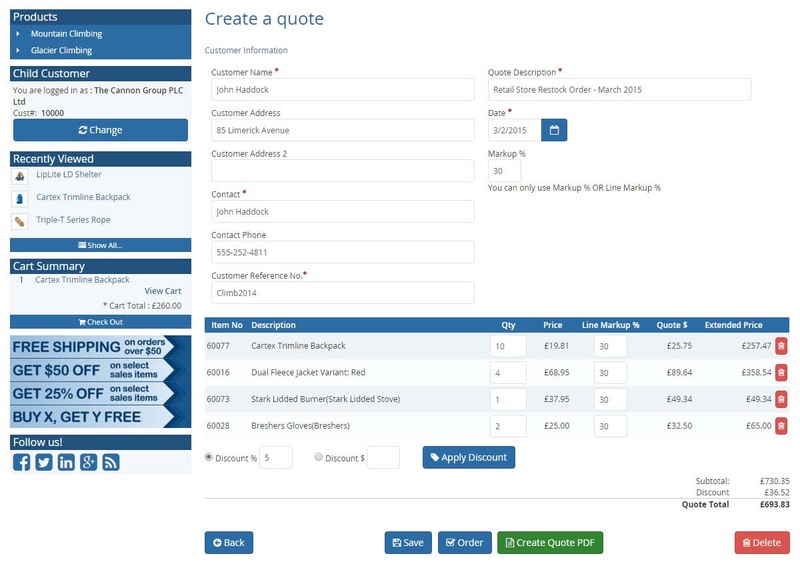 Online Sales Quotes – If your business’ sales processes rely on your sales team, dealers, or vendors creating quotes, Nav-to-Net™ has got you covered. This B2B e-Commerce feature allows sales representatives and dealer to create quick online quotes (including mark-ups) and manage and respond quickly as it is 100% integrated to NAV. They are saved online and when approved, can be converted to an order that transfers into NAV in real-time so there is no wasted time. Return Merchandise Authorization – Protect your business and prevent fraudulent returns and unnecessary chargebacks. RMA requests gives your business the final opportunity to diagnose the customer problem and put it right. Nav-to-Net™ allows users to request RMA for shipper items, businesses to track the RMA’s, account for all returned items, and update the NAV database in real-time accordingly. Store Location and Availability gives your shoppers the confidence to order knowing the stock status of each item. Landing Pages – Create as many landing pages as needed straight from NAV. Nav-to-Net™ makes it easy to define product-specific landing pages for quick access. Seamless integration, real-time updates, and simple content management makes it easy for you to test and make your landing pages effective. Gift Product Registry – Wish lists and registries need to be included in the overall e-Commerce strategy. Customers can create, manage, and organize their must-haves from your NAV webshop and share them with family and friends. Price/Availability Alerts – Provide superior customer service in e-Commerce by offering ways to notify customers when an item they want is discounted or back in stock. Through price and availability alerts, customers can keep tabs on certain products and act quickly when status changes. Data is collected and transferred directly to NAV where you can pull reports and use this information to your advantage. See our video section here. Store Locator – Bridge your NAV e-Commerce website with any physical stores and warehouses, or any dealers and retailers. Nav-to-Net™ helps you create a truly seamless buying experience for your customers, no matter where they choose. Submission Manager – Create new communication channels for your customers on your e-Commerce website with the Submission Manager in Nav-to-Net™. Dynamically build customized forms from within NAV, with the ability to enable or disable options as required. Use Submission Manager for site surveys, event registrations, price list requests, and more. Learn more here. Configurator (Optional) – Close the gap between what you offer and what your customers want. With Nav-to-Net™ Configurator, guide your customers to better buying decisions. Integrated with NAV items, attributes, pricing, and availability, this powerful add-on adapts to your unique selling processes. Find out more about Configurator. Web Services (Optional) – Do you have any 3rd party mobile apps or value added networks that you need to integrate into your e-Commerce solution? Build external interfaces and connect to Nav-to-Net™ objects remotely with our web services. Leverage your NAV and tech investments and benefit from a cohesive and efficient e-Commerce solution. 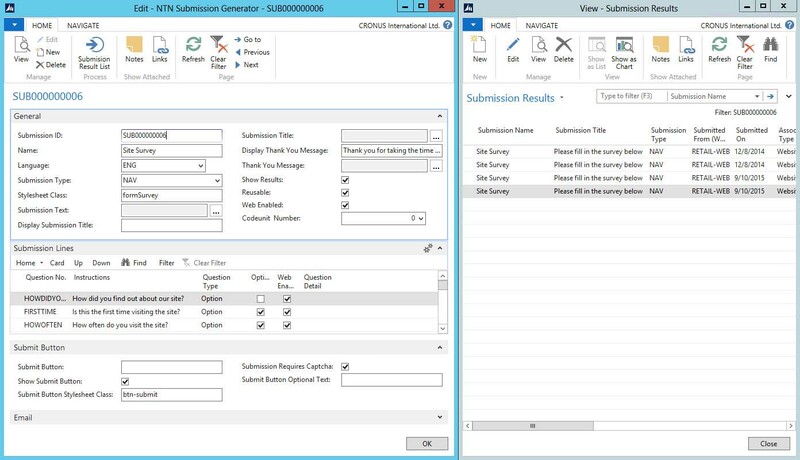 Create and customize your own forms on the website with the Nav-to-Net form submission manager. Sales, order processing, and web order holding tables are all managed within NAV. Always Take Orders™ and SmartPush Technology™ – Never lose an order. This dynamic duo of features exclusive to Nav-to-Net™ continues to take orders even if the NAV connectivity is temporarily unavailable. Customers can place orders with accurate pricing information at all times; after connection is re-established, orders are automatically sent through and missing orders are retrieved and re-submitted to the database. Scalable technology – As your e-Commerce business grows, so will your technology requirements. Nav-to-Net™, a self-contained solution, adapts perfectly to changing business environments and can scale to accommodate any additional growth with minimal effect to your NAV environment. Developer-Friendly – Make it your own! With the solid multi-tier architecture, any number of customizations won’t break Nav-to-Net™. There’s an option you can add to your e-Commerce solution that gives you exclusive access to the customization code layer so you can infuse your NAV website with your unique flavour.